This is a simple concept that so many have difficulty understanding. Diamonds do not let pebbles, typically an unworthy, disrespectful, often lost individual, treat them like pebbles. This is a simple way to remind them. When you know your worth, you won’t settle for anything short of it. Diamond Seeking Diamond! Don’t you forget it! 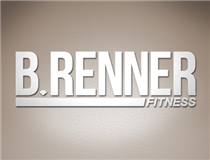 Download this item for your avatar exclusively from B. Renner Fitness.